Spark contributor Jon Kalish explores why Amazon's Echo smart speaker is so popular among blind and partially sighted users. For years, blind people have relied on screen readers — technology that reads aloud text on your computer or device's display. But now voice assistants and smart speakers like Alexa, Google Assistant and Siri are becoming ubiquitous, allowing users to turn on lights, order supplies, even — surprise — play music just by talking to the devices. While these features may seem like novelties to many, they are making life for people who are blind and partially sighted a little more efficient. "Using the Amazon Echo was a game changer for me," vision rehabilitation specialist Bill Boules told Spark contributor Jon Kalish. "You can get the information you are looking for much faster than you would navigating a website. At least ten times faster. Possibly more." Rather than scrolling through — and listening to — menus, links, paragraphs of text and images that may or may not have captions to play Spark on CBC's website, a user can simply say, "Alexa, play the latest episode of Spark." "I used to hate having to depend on my family to do things like help me find something on the on-screen [television] guide. I'm blind. I can't see the on-screen guide," said Bill. 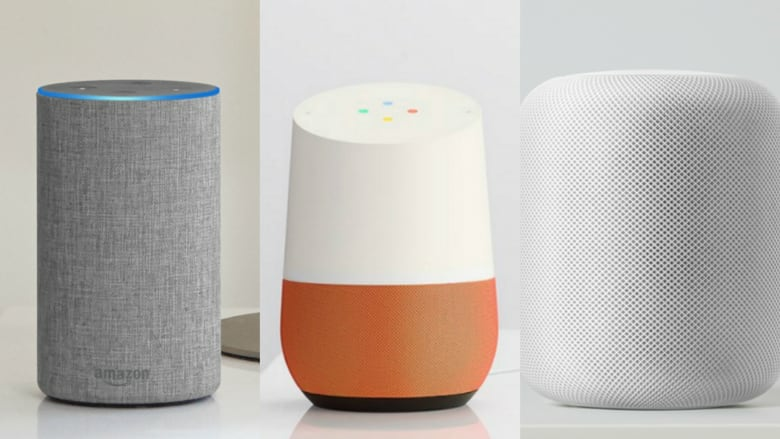 The three main assistants from Amazon, Google and Apple are competing for market share and looking for ways to convince you to put them in your home. Each offers their own strength: Echo has the ability to order almost anything with two-day delivery; Google Home has the power of, well, Google (Seriously, you can ask it almost anything. ); and Apple HomePod, with a huge music library, is designed for media. But as the three internet giants are battling it out, Amazon Echo seems to be coming out on top, at least among the blind community. That's because Echo gives users the ability to select customizable "skills" that control a variety of tasks and actions. These skills can be created by any company, unlike the actions on Google's Home and Apple's forthcoming HomePod — both systems are largely closed off to outside developers — and can mean more power in the voices, so to speak, of its users. 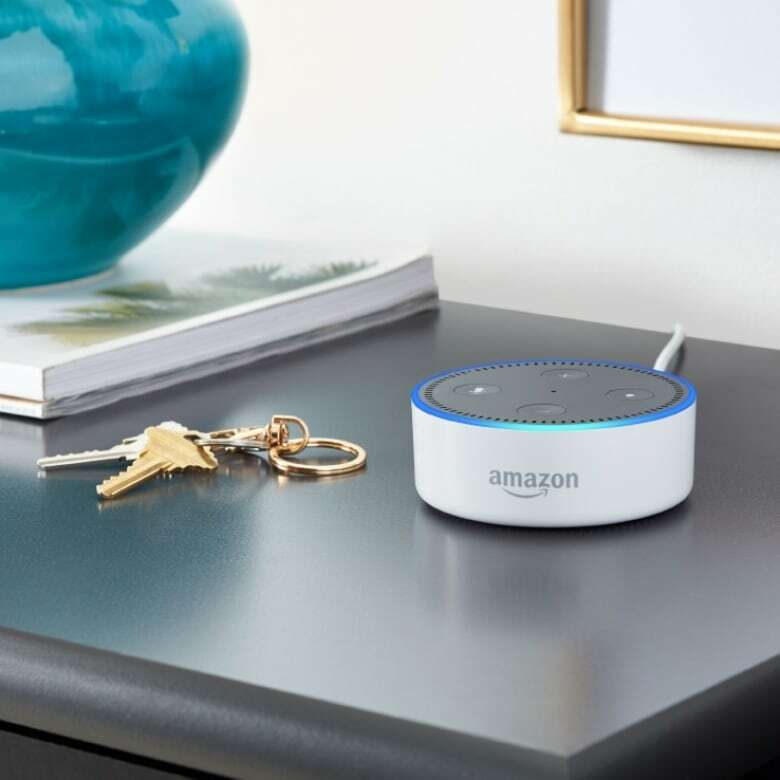 Related | Can your smart home speaker give evidence in court? Related | How safe is your smart home? Related | Do you really "own" your smart devices? "There are people now in our community that have more than one Echo in their house," Bill says. "Some people even bring one to work. You see that something is working for you and you make it a part of your life to the point where it has to be where you are." Some of those skills include the ability to order groceries directly to your door, control most Internet of Things gadget and even play Jeopardy. "With the PeaPod skill that they have on there now, they can also deliver your groceries." says Christina Brino who owns four Echos. "You say, 'Ask PeaPod,' and you can ask them to add things to your grocery cart." "You can also book your Uber ride with it," she adds. The learning curve is also fairly simple, making the devices appealing to less tech-savvy users. You speak to the device as if it's your roommate. But perhaps it all comes down to cost. Amazon Echo remains the most affordable. According to the Canadian National Institute for the Blind, only one-third of Canadians with vision loss are employed. Half are underemployed making under $20,000 per year. With the Echo Dot starting at about $70, it's the cheapest of the voice assistant bunch. Google Home Mini comes in around $80 and Apple's HomePod is expected to cost $350 when it launches later this year. It seems that for these users, Echo is the most accessible all around. 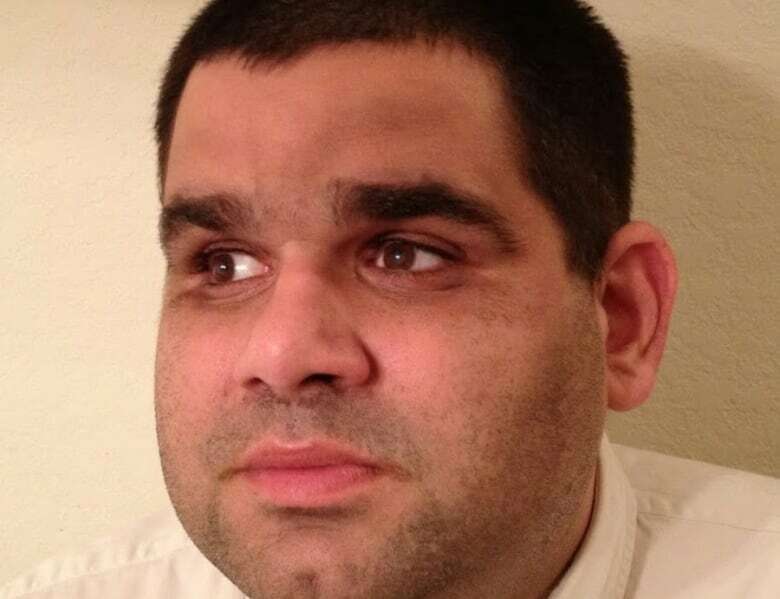 To hear more about how blind people are using smart speakers, as well as the history of the devices, listen to Jon Kalish's report. Can your smart home speaker give evidence in court? Do you really "own" your smart devices?